This year marks the first year I added strawberries to my home vegetable garden. In fact I started my strawberries from seed. Through my own account, and the success I am having with them this year, I wanted to post what I did that yielded to me some great results. You have two choices to start with when it comes to strawberries, an already existing plant that you buy from your home or garden center, or starting them from seed. If you are fairly new to gardening and want to add strawberries it will be much easier for you to start with an already existing plant. However, if you are up for a challenge (albeit a small one), like me, seeds are the way to go. Also, I chose a variety of strawberry that produces runners. This means that the main plant will shoot off, what look like vines, however that runner will produce another strawberry plant. Then that new plant will produce more runners and the process continues to repeat itself. 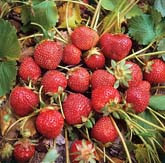 If planned correctly you can literally plant one seed and have an entire area of strawberry plants within one to two growing seasons. That is what I did. I started three strawberry seeds indoors in a humidity dome, then moved them outdoors about mid May. Now in July, those 3 plants have evolved into over 15 plants. It was much higher but a rabbit somehow got behind the protective fencing I set up. If the variety you choose has runners at some point you will need to cut some of those runners back once the area you have chosen for your strawberries becomes filled. If you don’t, the strawberries will forever spread. So unless you are great friends with your neighbor, get into the habit of cutting back some runners. If you are starting from seed, make sure you start them indoors about 8 weeks prior to the last frost in your area. I like to then add a couple more weeks on to the frost end date just to be sure. Many varieties of strawberries are versatile when it comes to the soil’s pH level. They will grow in the range of 5.5 to 7.0 (acidic to neutral). That is a fairly wide range which makes strawberries easy to grow once they are outdoors. Although they grow best in full sun, strawberries will grow nicely in partial shade. In fact I have mine planted in an area next to my corn and they are doing great given the corn will shadow them from 2:00 on. Give your strawberries a moderate watering, meaning the soil your strawberries are planted in should be moist but not saturated. if you do not have a water moisture reader, stick your index finger about an inch into the ground to feel the moisture of the soil. One downfall of strawberry seeds is their life span isn’t great. Expect 95% to 100% germination rate for seeds under one year and expect lower germination rates with seeds that are older. Strawberries are ready to harvest when they become a nice luscious red or crimson color (although there are white varieties as well). 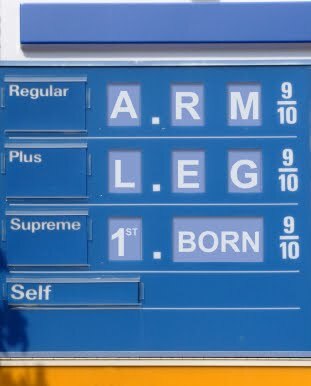 At the time I wrote this article, according the GasBuddy.com, the national price average in the United States for one gallon of regular gasoline was $3.55. The price has been recently fluctuating to the point where the up and down motion makes you feel like you are on a boat heading through a hurricane. One thing is an absolute fact and that is when gas prices rise the cost of goods rise as well. It really is simple economics. In order to deliver fruits and vegetables to your local supermarket or grocer it takes fueled up vehicles, mostly trucks, to get them there. Higher fuel costs means higher transportation costs in turn meaning everything on that truck must cost more in order to compensate that extra fuel charge. In steps home vegetable gardening. When the recession hit, back in late 2007, early 2008 an estimated 48 million people, according to the NGA, took up vegetable gardening in their back yards as a means to put food on the table for a lot less than what it would cost in stores. Here we are nearly 4 years later and home vegetable gardening is still on the rise. People, those that never gardened before, are finding out it easy to do, the yield of what they receive is far greater then they ever thought and when you add it up, the savings are tremendous. According to the USDA, one tomato seed can yield more than $50 worth of tomatoes. You can buy a pack of seeds online or in a store for $1 to $3 depending on the supplier, type, etc. Even after figuring in water and land usage the average household can grow more a thousand dollars worth of food for a fraction of the cost of what the price would be in stores and of course the gas charge to get you to the store and back. I am a big advocate for home vegetable gardening. Maybe a bit biased of course because I am in the business and have been since 2009. Even before that time I was growing my own food. A skill that I was fortunate enough to learn from my father and grand father. I love growing my own food. Beyond the monetary savings, it gives me a sense of freedom. The fruits and vegetables that are growing in my yard are going to produce whether there is a recession going on, a depression, or high gas prices. They are going to produce the same amount regardless of what happens in society (short of natural disasters of course). When I plan my garden out correctly I can grow enough food to last me and my family the entire year (through using a vacuum sealer) even through winter. With cold frame and straw bale gardening techniques, things I have learned over the past 10 years, my growing season has been extended, allowing me to have a fresh harvest, anytime. The peas are starting to yield. The corn is knee high. Lettuce is in full swing. Half my beans survived the rabbit attack. After today the fence will be up. The hops are climbing the trellis, ready for some fall brewing. All is well with the vegetable garden. 1) Thinning: It’s, three to five weeks after planting in Zone 5. Time for thinning to the recommended spacing. This is how to have healthy plants and avoid misshapen carrots. 2) Weeds: Vegetable seedlings have begun to take their form and be easier to identify. That means what’s a plant and what’s a weed is easier to see. You can pull weeds by hand. I prefer a triangular hoe because the points allow you to get closer to the plants without disturbing them but stay ahead and it will be less work. 3) Planting: Put in some more beans so that when the ones you’ve already planted stop yielding, you have a second wave. 4) Volunteers: If you’ve had some “volunteer” tomatoes sprout from last year’s dropped fruit, let one or two grow. Yield won’t be as strong as those from fresh seed, but the fruit may be interesting. For example, I plethora of meaty, juicy, flavorful golf ball sized fruit last year led me to conclude a hybrid cherry tomato plant was regressing to one of it’s parents. 5) Replanting: Anyone who grows from seed knows sometimes, things just don’t take. Replant herbs or anything else that hasn’t sprouted or put something else in that spot. 6) Save some space: There’s nothing wrong with keeping some soil at rest. Who knows what interesting seeds may come in the mail in just a few short days. 7) Build things: Get those cages, poles and stakes in place for your vine crops. Cucumbers, for example, will climb beautifully. Vertical gardening saves space. 8) Water: Not too much, but enough to keep things growing. 9) Mulch: After those weeds are pulled, spoon on some fresh mulch mixed with a bit of manure. It will help everything be that much richer. 10) Green tomatoes: They will be here before you know it. Fry some up. 11)Tiller time: It’s probably away until fall but maybe until spring. Drain the gas out of it and either add some Stabl or run it dry. 12) Shovel time: Bust out the old file and take five minutes to sharpen your favorite tools. A sharp shovel is like a sharp knife, easier to work with, but most people never take this simple step. Joe Genco is a contributing writer and financial advisor. You can contact him at joegenco@gmail.com. In the midst of the European e. Coli tragedy, which has made its way to the United States, more home vegetable gardeners believe that it will create a flood of even more people growing their own fruits and vegetables in their backyards. To date the latest E. Coli epidemic has killed 31 people and sickened over 3,000 people. The early indication as to its cause are bean sprouts although that has not been confirmed. “To the best of my knowledge I have never heard of anyone who has suffered from E. Coli resulting from foods grown in one’s own backyard,” continues Podlesny whose company operates the Seeds of the Month Club (http://seedsclub.averagepersongardening.com) which reduces the cost of seeds to help more people get involved in home vegetable gardening. As the World Health Organization and other International officials scramble to find out what is causing the latest E. Coli outbreak, home vegetable gardeners say they are sitting back and relaxing, enjoying safe food. Ok I have to admit I am a huge fan of putting sour cream and chives on my baked potatoes. It’s one of those guilty pleasures in life! Of course being a vegetable gardener that also grows herbs I have also talked myself into “the sour cream isn’t bad because the potato and chives came from the garden.” It isn’t the healthiest of combinations but in this case I am ok with that, because the potato/sour cream/chives combination is tremendous. With that said lets talk a little about chives and how easy they are to add to anyone’s home gardening plans. Chives are the smallest species of onions and in most parts of the world can grow as a perennial, which means they will last for two or more years. Part of the onion family, making it a vegetable, chives in many cultures are considered an herb as it used for medicinal purposes (as well as other reasons). However you refer to this great tasting plant is up to you, but here are some tips to make it easier to grow. You can grow chives anytime by planting them in a pot and putting that pot near a window sill that receives sun first thing in the morning. This makes chives a great choice to start indoors, if you do not have it going as a perennial already. Chives like the soil to be a bit more acidic to neutral (6.0 to 7.0 on the pH scale). 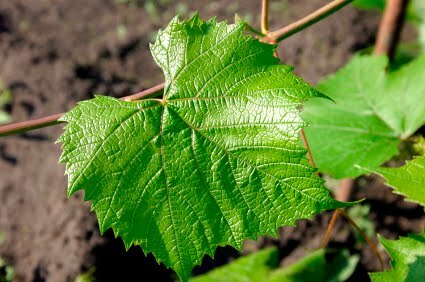 Will do great in full sun but also grows very well in partial shade. Give your chives a moderate and even watering making sure the soil is moist but not saturated. Space your chives out at least six inches (eight inches if you have the room). Chives grow best when the temperature is fifty-five to seventy degrees Fahrenheit and you if cover them in the regions where frost and snow set in they will survive your winters (in most cases). Do not rotate chives with other members of the onion family and if possible they make a great companion for carrots and tomatoes but bad a companion for beans and peas. Use a sharp pair of scissors to harvest your chives by giving it a cut about an inch to an inch and a half above the soil. Sort of like giving it a haircut (as one gardening writer puts it). Add your fresh chives to just about anything. For me, it is to sour cream so I can top the potato I just harvested as well. Thyme is the number one herb sold on our website and we received tremendous positive feedback when it was the featured herb in our monthly Seeds Club. Who could argue about the versatility of thyme? It is a great herb to add to a lot of different recipes, and in many cultures is used as a medicinal herb. Civilizations of long ago such as the ancient Egyptians used Thyme as an embalming agent and the Greeks added it to their baths and burned it as incense. I am sure we have come a long way since those times and simply add it to our soups, stews and other foods to enhance flavor. Don’t worry there are no scientific studies that show consuming thyme will “embalm” you (or at least none that I could find). Thyme grows best in a location that receives full sun light throughout the day where the soil drains well. So if you have soil that is heavy in clay and wish to grow Thyme, consider building some raised beds which will allow for better drainage of excess water. It also grows best when the soil’s pH level is more neutral. That is 7.0 on the pH scale. The pH scale reads 0 being the most acidic to 14 being the most alkaline. Take a pH reading of your soil prior to planting to make sure you are close to 7.0. Do not worry if it is slightly above or slightly below as your Thyme will do fine. If the reading gets below 5.5 or above 8.5 then consider following the instructions on your soil pH tester to raise and lower your level as needed. Thyme will survive deep freezes in most cases so it makes for a decent cooler weather item to add to your home vegetable garden. It also grows well in pots indoors, just make sure your thyme is near a window that receives ample amounts of sunlight. This herb adds great flavor to a lot of recipes that include meats and fish. Even better is how easy it is to grow right at home which translates to saving some money. A recent price search on Thyme in my area shows, depending on how it comes (ground or whole) can run anywhere from $2.49 per ounce to $8.00 per ounce. One thyme seed will produce, under optimal conditions, about 3 to 5 ounces of thyme. How is that for savings right at home! I look back at my many years of having my own vegetable garden and always have a `what the heck was I thinking` moment. Whether it was growing something I had no intention eating or the countless other mistakes I have made in time, had I not learned from them would have been a real tragedy. 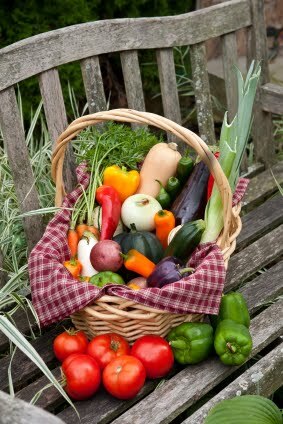 I wanted to share with you what I believe are vegetable gardening mistakes that can make anyone cringe. You mean you can’t plant that zucchini two inches away from the next one? Ok admit it. You have been there also. Excited to plant so much but with little room to do it in, you start squeezing things in so close that by the time they become full grown (hopefully) you aren’t sure whether you have a vegetable garden in your backyard or the 2nd coming of the Amazon rain forrest. Do yourself and your garden a favor. Plan ahead by organizing where you will plant things. Even if you scribble it down on a piece of paper somewhere. If the back of your seed packet says spread them out three feet, then please do that. If you can only plant two zucchini plants, then that is ok. You are better off with two plants that are constantly producing then many plants that might not produce at all. You wake up on a Tuesday head out to the vegetable garden and you turn your sprinkler system (or irrigation method of choice) on. You give it a good soaking as recommended by your Uncle Louie who was the neighborhood tomato champion. As the day progresses, it gets hot, so tomorrow you repeat the process, because well it was so hot that all of the water you gave your garden the day before must be gone right? So you water again. You repeat these steps daily but unbeknownst to you what you are actually doing is a disservice to your plants. You may be over watering your plants. When you do this you could be washing away the nitrogen in the soil or just as worse creating a way too soggy soil base for your plants roots which could cause root rot. Solution? Invest in a soil tester or water tester which will give you an accurate reading of the moisture content in your soil. When in doubt with no soil tester around, plunge your index finger about two to three inches into the ground. If the soil compacts well or feels moist then your plants are ok. I am sure you can think of plenty more that you or someone you know does. These are my two favorite. Hopefully, you, like me, learn from your cringe worthy mistakes and have a flourishing vegetable garden. 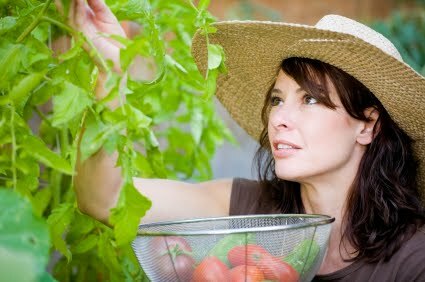 There are a number of fruits and vegetables that I absolutely love to grow in my home vegetable garden. Peppers being one of them. Like all of the other fruits and vegetables, I love to start my peppers from seeds. I enjoy not only the cost saving benefits of using seeds, but the challenge of it as well. Not to say that growing anything from seed is overly difficult but when you start your garden from seed there is a requirement for a little more care in the beginning to get them going. Here are four tips I put together if you are looking to start your peppers from seeds. Pepper seeds are fairly small and very light which means they do not generate a whole lot of energy to push through the top soil. Therefore they should be planted no less than a quarter inch deep. Any deeper and they may never see the light of day. Just like with tomatoes, cucumbers and other vegetables you will want to get a jump start on your peppers by planting them indoors. Your method on how you plant them is up to you, but I like using a humidity dome, a homemade seed starting soil mix and left over yogurt cups. My seed starting soil mix is equal parts perilite, home made compost, and peat. 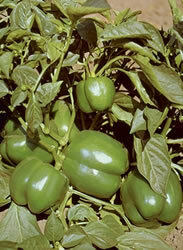 Start your peppers eight weeks prior to the last frost in your area. When the fear of frost subsides then you can move them to the outdoors. Peppers grow best when the soil is a bit more acidic. You can invest in a soil pH tester from your local home or garden center or from our online store for less than ten dollars (US). Peppers will grow well in the 5.5 to 7.0 range but will do much better in the lower portion of it. If you do not know what your soil’s pH level is, then you should definitely get it tested. So you are ready to move your peppers to their final growing place, but how far apart do you space them? Since there are so many varieties of peppers, spacing requirements will vary, but for most, twelve inches is perfect. That will give their root systems plenty of room to spread out without feeling overcrowded or in competition for the soil’s nutrients. My favorite are sweet peppers so I will grow loads of them in many varieties. Your tastes I am sure will be different, but if you follow the tips above you too will be able to grow great tasting peppers in your own backyard home vegetable garden.